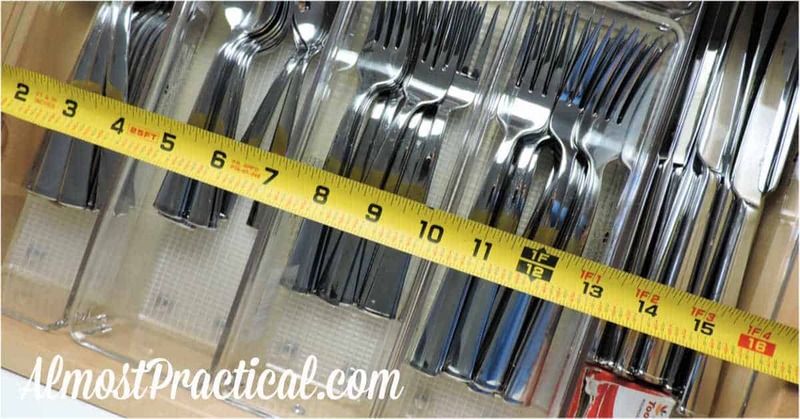 Kitchen organization does not have to be a losing battle. Trust me. The kitchen is truly the most used room in the house. It will get cluttered, disorganized, and even disheveled, if you will. But if you follow these tips, you will be able to whip it back into shape in a matter of minutes. Zones are the key to kitchen organization. They are also the one thing many people don't do well. Most people will store something in a cabinet or drawer where it “fits” as opposed to the place where it makes the most sense. Before our kitchen renovation, I used to have a long, narrow drawer next to our cooktop. I also happened to have a cookie press that was long and narrow. It fit perfectly in that drawer – so I stored it there – in the prime real estate right next to my stove. Did I use the cookie press every day? No! Of course not. Probably more like once a year. But there it sat taking up valuable space. How Often Do You Use That Gadget? Once I realized my kitchen organizing mistake, I tucked it away in a more remote spot and put more useful kitchen utensils in that drawer. This saved me so much time – that I didn't know I was losing. When my everyday cooking spoons are in the drawer right next to the stove, food prep becomes more convenient. And the bonus is that you can potentially free up some space on your countertop by storing your utensils in a drawer instead of in a container on the counter. So, your job now is to pinpoint your kitchen zones. cooking utensils are near the stove, etc. Put the things the things that you use most as close as possible to the place where you use them. Anything that you don't use very often should go in a more remote location like the top shelf in your kitchen cabinets. Related: Your New Kitchen Countertop – Which Material is Best? This one is a tough one, especially if you are short on cabinet space – but do the best you can. Try to put thinks like knives, kitchen utensils, and small kitchen appliances – yes appliances, in your cabinets and not on the countertop. If your counters are uncluttered, it is much easier to wipe them down. You also notice when something is out of place and needs to be put away. Personally, I replaced my countertop knife block with this in-drawer knife organizer and I love it. You might need to clean out a junk drawer to make it happen – but you really didn't need that junk anyway, am I right? One of the easiest ways to declutter, is to use drawer organizers. Stuff gets disorganized in big, wide kitchen drawers. Things roll around and get all jumbled up. I like to use clear storage trays like these from InterDesign. The clear material makes it easy for you to see what is in the drawer. I also prefer single compartment organizers so I can mix and match depending on what I need to store. Before you buy your drawer organizers, be sure to measure the inside dimensions of your drawers to make sure the organizers will fit. Every night be sure to close your kitchen. Set a few minutes aside to put away clutter that creeped it's way in, wipe down the countertops, and sweep the floors. Related: What Does Being Organized Mean? and keep up with cleaning daily. 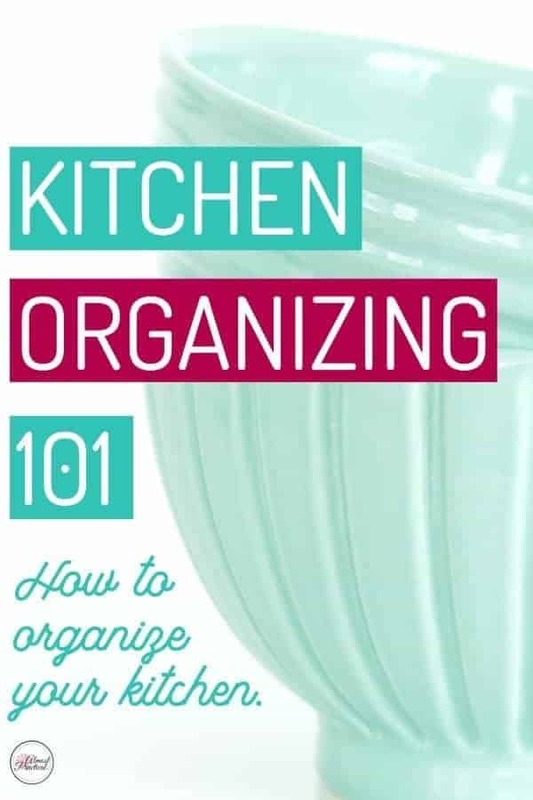 What are some of your best tips for kitchen organization? Let us know in the comments below.